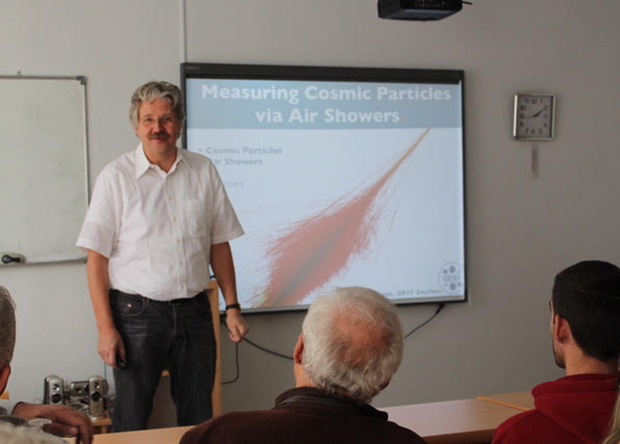 Johannes Knapp is Professor at DESY (Deutsches Elektronen-Synchrotron), specialized in astroparticle physics. 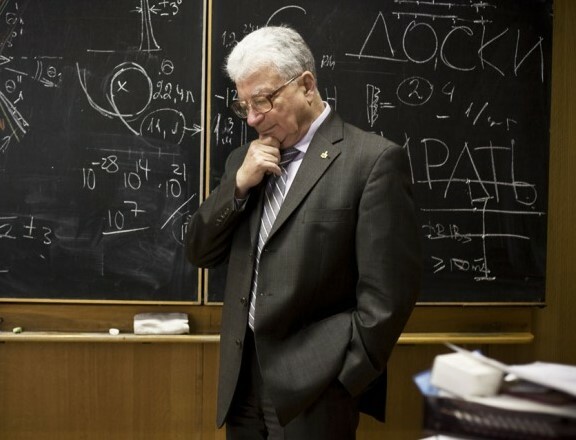 He regularly visits Armenia and delivers lectures at Yerevan Physics Institute. Recently he participated in “Collaboration/Common Interests in Physical Sciences” workshop, organized by DAAD Armenia. The event was aimed at discussing Armenia-Brandenburg scientific collaboration and common Interests in the physical sciences. Professor Knapp is well acquainted with the Armenian science and the challenges of this sphere. 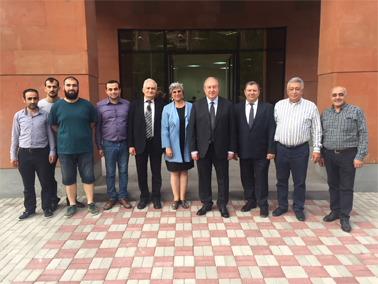 Yerevan Physics Institute (YerPhi) and DESY have cooperated for many years now, but the collaboration was on a lower level. We had small projects for YerPhi specialists and scientists, though they participated in great experiments and learned a lot. We feel that there is a problem: young people increasingly want to do other things such as business, earning a lot of money and not so many people are interested anymore in physics and science. Partly this is conditioned by low salaries for scientists in Armenia. However, we hope that we can change the situation with the new government. We had discussions with the previous government, within the frames of which we proposed to raise salaries so high that people can make a living, as otherwise Armenia will lose this base of young talent. We’re trying to help setting this up and inform people about the potential of a career in science, as well as get Armenia involved in very good experiments, international collaboration worldwide. If this works, we will benefit from clever people working on all problems, and if it doesn’t, then Armenia will have to think about what the future will be like in science. What if too many people go abroad? Who is going to solve current problems in science? Only a small fraction of scientists stay and do research in Armenia, while at some point the rest prefers relevant industries. It is important to have well-trained scientists and engineers for well-being of your country. Armenia has to do more about developing this direction. There is a gap between the society and science, which exists everywhere. Nonetheless, people are outreaching, they explain why science is important, they go to schools, they make Open Days and this is attracting a lot of people to learn more about science and the activities that scientists are doing. This has to happen in Armenia. We also provide teachers’ training in Germany; we train school teachers about the specific fields of current research so that they can teach the same to children. This is not only about physics or mechanics or dynamics from two hundred years ago, but also modern physics. Something similar has to happen here as well. If you don’t make advertisement for it, then you will get lost probably. Armenia traditionally had a very good educational system and people, that are now about to retire have been trained very rigorously. But this potential is now dying away or retiring, but the process shouldn’t stop, you should make sure that the young people get the same opportunity of quality education in all aspects of life and all branches of science. As long as there are people who can provide that Armenia will succeed, and if you lose it, the recovery will be much more difficult. Nowadays there are plenty of courses which you can follow online, but they are in English, being mostly pitched to the English or American school system. You have to make sure that young Armenians have access to these subjects. And what can the government do? The government should realize the importance of education and then support scientists. They have to put money into this pursuit the same way as they put money in construction, tourism and many other sectors. It’s important, because the future is built on education. It is definitely nice to go abroad. Besides, the standard of living and high appreciation that scientists receive is attractive. Armenians like their home, language and culture, so you have to make Armenia attractive too. Many Armenian PhD students and postdocs would like to come back, if they had relevant job opportunities in the own country. 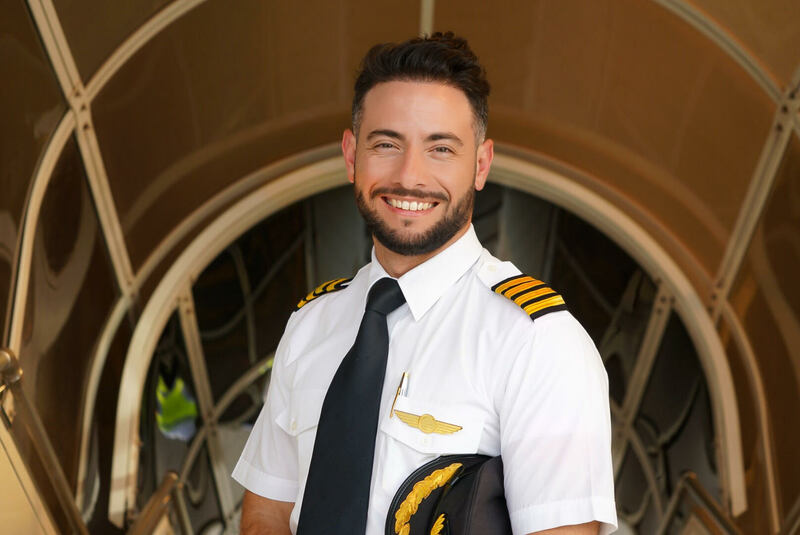 These well-trained specialists have studied long to be able to make decent salaries and provide well-being of their families. Certainly you can benefit from the connections with the countries where Armenians live and work, but you need those scientists to be back. If you could bring back 10 percent of them, it would be a great advantage.